Bus is the most common means of transport in any city. Getting the bus service on the tip of your fingers is a most desirable thing in this rapidly moving world. People are depending on their mobiles for each little thing. Having a mobile app like Uber for your bus business is need of the time. Technology and smartphones have changed the face of the world completely. Mobile apps like Uber for booking rides have made transportation easier and struggle-free. These apps have not only simplified transportation but they have also provided choices to move around in the city and even outside the city. There has been a noteworthy growth in transportation in the past few years. To make profits and stay on the top, you need to adopt new business methods. A personal bus ticket booking app becomes a necessity in this new era of technology. If yours is a startup, you must consider developing an Uber for bus app which can help you in this neck-breaking competition. The mobile app like Uber for bus helps connecting the passengers to the bus operators. This app helps the users to find the buses according to their schedule and makes the commuting easier. It helps in saving time and avoiding long queues. The users can book tickets easily just by entering their pick-up and drop locations. The users are able to book the tickets for travelling immediately or in advance too. The mobile app like Uber bus helps the user to choose the seats of their choice through the use of the seat map. The Uber for bus mobile app is providing the users with ease of traveling on a daily basis in clean and air-conditioned buses. The users are just supposed to book a bus and wait at the pick-up stop. Some other passengers going on the same route are found. Also, because the bus ride is shared with other people, it becomes more pocket friendly for the users too. And more and more customers use mobile app like Uber for bus booking, it becomes profitable for your business. With a bus booking mobile app, you can manage the customer profiles, traveling agencies, payments and also score more customers. The app can help you in providing better managed services. How will Uber-like bus service app work? » While requesting a bus service, the user is able to enter their destination, choose the bus option, get a price estimate and then just click to ride the bus. » There is a wait time which can be used to find out other passengers taking the same route. » The trip details are generated for the user. » The user need to walk to the nearest pick-up point mentioned in the trip details. » The generated ticket can be then shown to the bus driver before riding the bus. » The user is allowed to pay the driver in cash or through the in-app payment method. » The user can then ride the bus in their own clean seat. » When the destination is nearby, the user will get a notification to get down. » The map will guide with the directions to the exact location. » Bus route information: It helps the user to know in advance about the exact route of the bus. 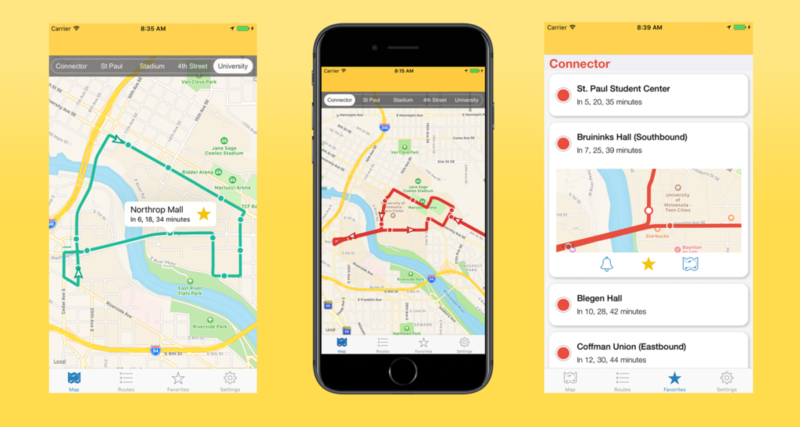 » Real time Location Tracking: The user is able to track the exact location of the bus just in case the bus is late, the user can also share this live location with family and friends just for safety purpose. » Trip Notifications: The user should be able to get all the trip notifications right from when the bus is booked till the user gets down from the ride. » Chat integration: The user can solve all their queries through the in-app chats directly. » Real Time seat maps: The user should be able to view the real time seat map while booking a ride to avoid overlapping of reservations. Want to build/create your own Uber like bus service App? Get A Free Quote Today! There can be many other features which can be incorporated in your personal mobile Uber like bus app. You can build your mark in the competitive business world using the best technology for building your mobile bus booking app. If you have an idea, Coruscate can help you turn it into reality. If you are confused with the scenario, we can suggest you the best possible solution. We have developed taxi booking apps and Uber-like apps for many businesses and helped them achieve great heights. Give us a call. We can help you develop your mobile app like Uber bus to make your business much more profitable.